When joining domain, if there is a problem that "the security database on the server does not have a computer account for this workstation trust relationship", please follow the instructions below. 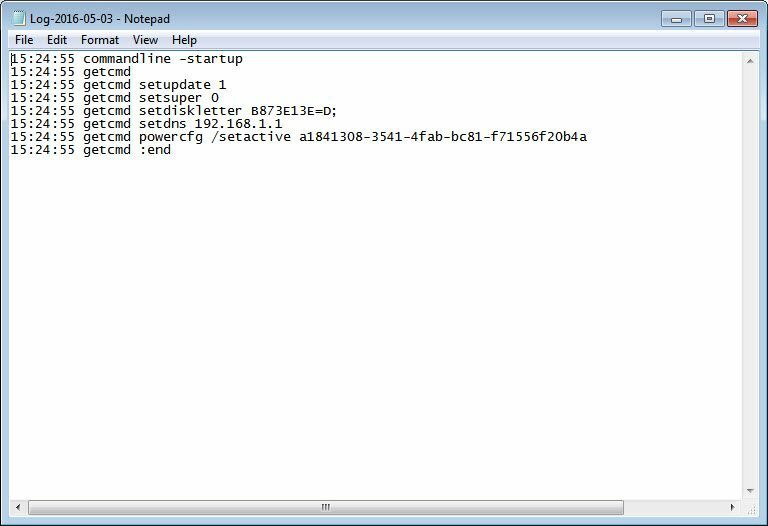 1)Please check whether you have added this client PC's CCBootAD.exe to the domain server. For details, please refer to "3 Domain Server Settings". 2) Please check whether the command of join domain was set correctly or not. If not, please correct it. 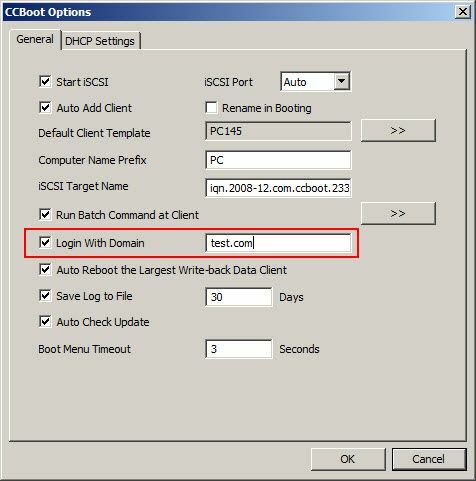 3) Open "CCBoot Options" dialog box, click the "General" tab, tick the “Login With Domain” check box and type in the domain name in this case it “test.com”,and click “OK” to save the settings (Figure 1-1). 3) Once above is done,boot the client and Go to C:\CCBootClient\Log, open the latest log of this client PC, if it joined domain successfully, it will show similar text as below in the log file (Figure 1-2). If this client PC failed to join domain, it will show the reason there, so we can find a solution regarding this problem accordingly (Figure 1-3).